AKM published its first Instagram this month. Aptly, our first post was a 36 year ‘throw back’ to our first large conversion, Bleecker Court. The second post is the building as it exists today. 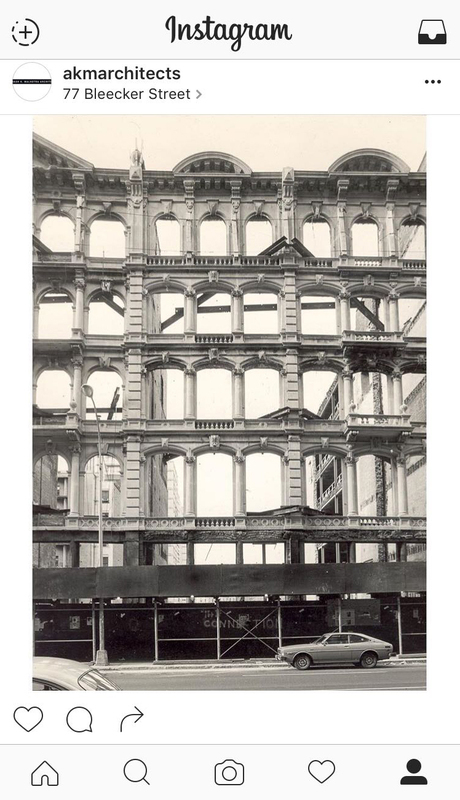 The free standing marble façade of Bleecker Court was all that remained of the 19th Century building, after a fire in 1979. AKM integrated this unique feature into the construction of four apartment buildings, centered round two courtyards, bringing light and space to the design and saving the historic architecture. The building was cited with the 1981 AIA Residential Design Award, and given Landmark status. It survives today at 77 Bleecker Street, and now also on Instagram. 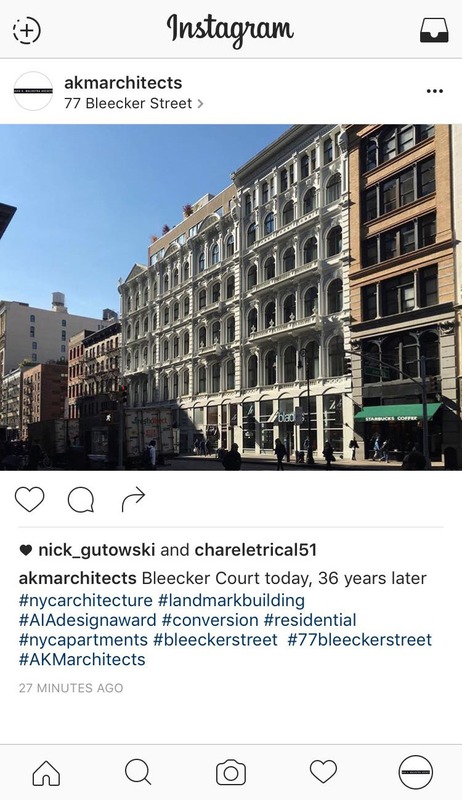 You can follow us on Instagam @akmarchitects .